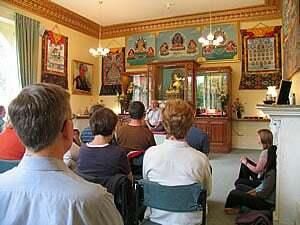 Kadampa Buddhist Centers worldwide offer year-round programs of meditation classes, courses, retreats, and major gatherings. These events are suitable for all levels from complete beginners to experienced practitioners. All local centers offer drop-in classes, day courses, and weekend courses; and most offer retreats of varying durations. These classes are open to everyone. You do not need to be a Buddhist to attend them, or to derive great benefit from them. The highlights of the year for Kadampa Buddhists are the annual International Festivals with Venerable Geshe Kelsang Gyatso, which provide an opportunity to receive teachings and empowerments directly from the Founder and Spiritual Director of the New Kadampa Tradition – International Kadampa Buddhist Union. 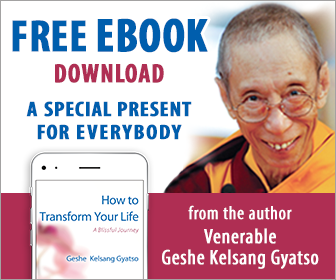 Each year there are also a number of National Festivals with the General Spiritual Director of the New Kadampa Tradition, Gen-la Kelsang Dekyong. Besides these, there are also national and regional Dharma Celebrations given by the National Spiritual Directors. To see videos, photos, and reviews of previous International Festivals visit the Festival Diaries section.